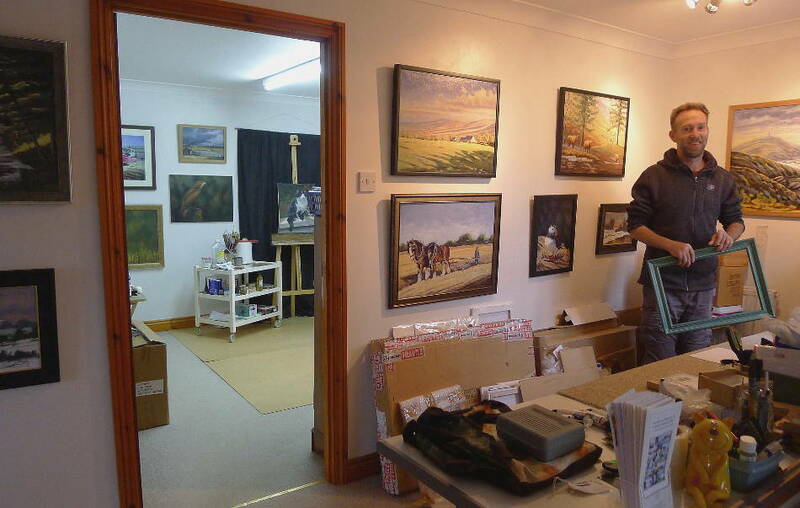 Inside my studio in west Wales. I count myself lucky to be a Welsh artist living in, and painting, the beautiful Welsh countryside. I grew up on a small dairy farm in rural west Wales, which instilled in me a early interest in wildlife, nature and the outdoors. Much of my youth was spent roaming the fields and woodlands, sketching and painting anything that would stay still long enough to let me do so. An outdoor career beckoned, and when I left school at 16, I left home, and Wales, and started work as a gamekeeper on Lord Harlech's estate, in Oswestry, in Shropshire. The hours were long and the work was hard, but my main focus was to be immersed in nature. Over this early period in my life my passion for art was with me, and I used to paint and draw as much as I could, but in truth, there were never enough hours in the day. 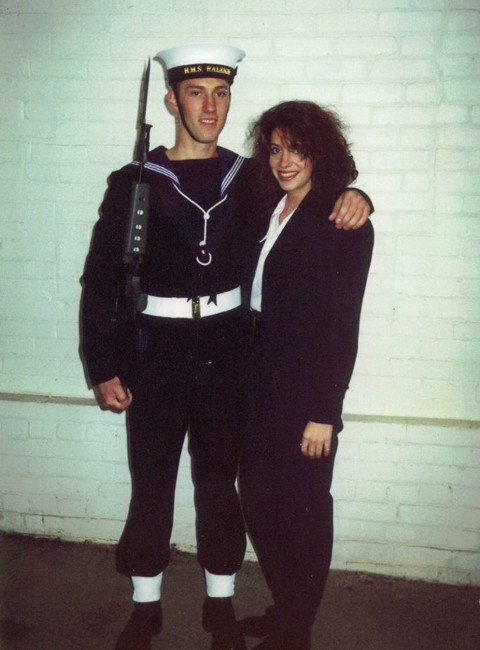 With my Sister at HMS Raleigh. 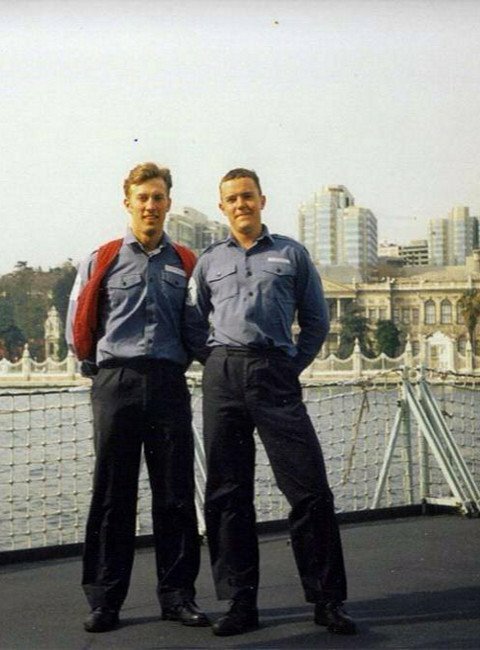 On board HMS Montrose in Instanbul. Craving adventure, I changed career path in my early 20's and joined the armed forces, where I served as a marine engineer in the Royal Navy for 5 years. These were exiting adventurous times, but unfortunately during my naval service I developed severe rheumatoid arthritis, which cut short my career, and saw me medically discharged out of the armed forces in the late 1990's. 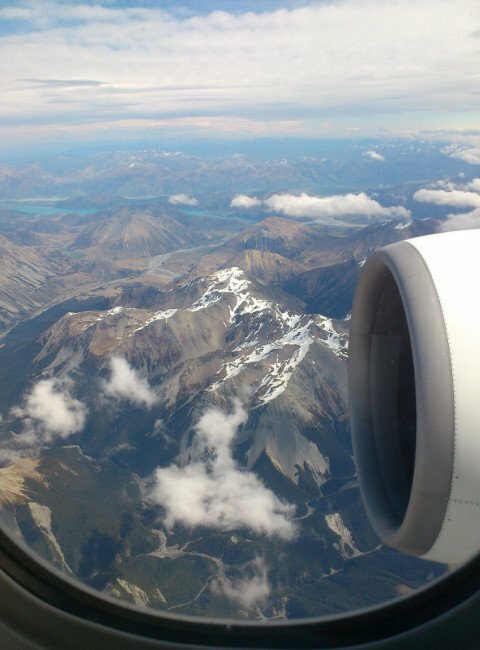 Flying over the Southern Alps, New Zealand. 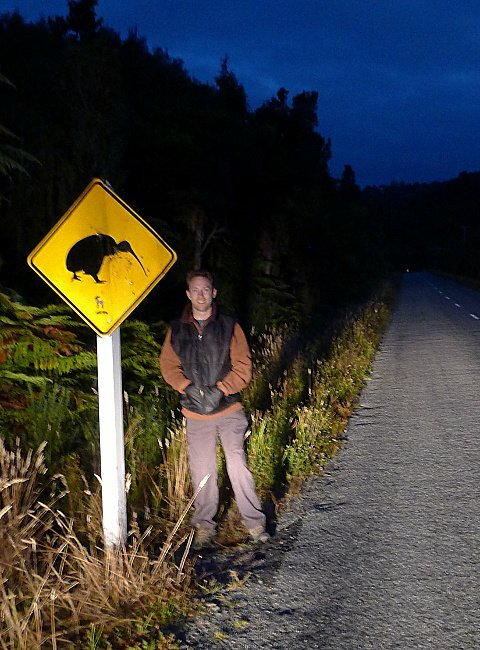 Scruffy backpacker next to an iconic New Zealand road sign. Undaunted and my quest for adventure still burning bright, I bought a plane ticket with my final royal navy pay cheque, grabbed my disheveled old rucksack, and set off half way around the world to explore New Zealand. I'd been granted a 1 year work visa, and planned to stay 1 year, but as these things have a habit of doing, 1 year led to 2, 2 years to 3, ..and I ended up staying south of the equator on and off for the next 6 years, living in both New Zealand and Australia. Now living overseas I made more time to follow my passion for art, and whilst living in Melbourne in Australia I studied creative and figurative drawing at the CAE. It was at this time, in the early 2000's, that art became the major driving force in my life that it is today, and in 2004 I made the decision to move back to the UK to become a full time artist. At my easel in my studio. Now back in the Wales, I live in the beautiful north Pembrokeshire village of Cilgerran, where my studio/gallery is situated, and from where I create my paintings. My studio/gallery is part of my house, and is where clients can visit to view and buy my art work, and where most of my painting is carried out. My paintings are worked up from small oil painting studies painted out in the field in and around West Wales using a pochade box, or from photographs taken by myself of by my clients from around the world. You can take a better look inside my art studio here.